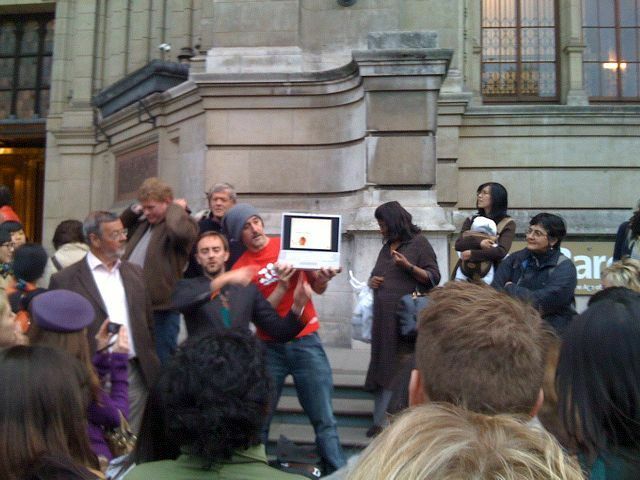 Following a fire alarm last Friday at the talk I was attending at the V&A by 3 former D&AD presidents, the event was concluded outside on the street, in a rare piece of design street theatre. Martin Lambie-Nairn had just given us a wonderful talk on the influence of individuals in massive government projects, inspired by Prince Albert (Queen Victoria’s other half), when the event was almost cut short by a fire-alarm. 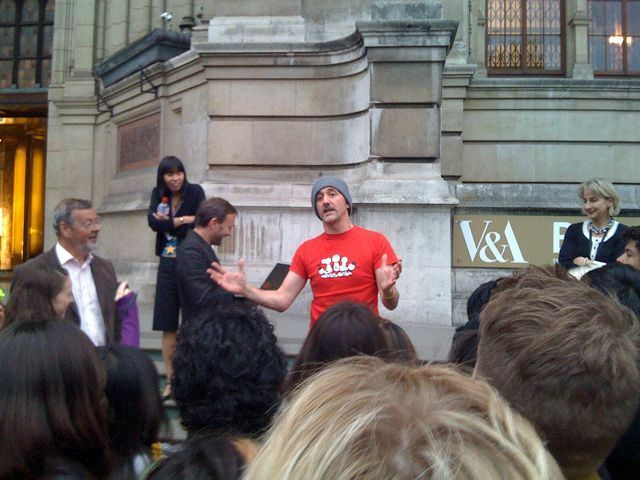 Not to be unheard however, Simon Waterfall and Iain Davidson served up their talks on what inspired them inside the V&A on the steps outside – complete with jobsworth fire marshall saying they weren’t allowed to stand on the steps! He was called a few 4 letter words by the assembled crowd of designers and passers by.